When I was about five or six, towards the end of the 1960s, my parents and I visited my gran in Gateshead. My gran had lived a tough life; she had seven children, and her husband died two years after her last child, my mother, was born. The same week she was born, her twelve year old brother died and another sibling didn’t live beyond five. These were the 1930s and much like that conveyed in Angela’s Ashes. My father’s family were similar; ten born, only five surviving to school age. 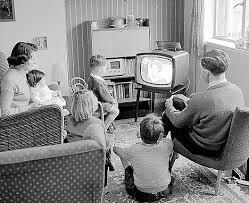 When we went into her high rise flat, she was sat in the small living room, where there was a TV in each corner. I was so impressed that she had two TVs, but puzzled as to why they were in the same room. When I asked, “Why’ve you got two tellies gran,” she said in her usual matter-of-fact way, “One’s for BBC, and one’s for ITV.” Somehow or other, she had found two broken TVs that served her purpose. She wasn’t bothered about BBC Two. You still didn’t take TV for granted in the 1960s, and there were great events to marvel at, most notably the moon landing in 1969, when Neil Armstrong stepped out onto that studio set in Hollywood and said those famous words. Angela Topping gives us a snapshot of this magical, black and white time in her poem Monochrome. “A candid photograph, a moment caught/in black and white, nineteen fifty nine,/a council house estate interior.” We have a picture within a picture, of a father with his camera, who is watching his daughter and her friend in front of a new television, “in rapture where they lie,/on bellies, heads propped up by hands, enthralled,” You can see that he embraces new technology, and bringing the TV home, “feels some pride in its unveiling day.” There is both a sadness and great sense of love conveyed in Angela’s touching poem; this was a time when the rebuilding after the Second World War and the austerity of the 1950s crossed into a new era, more positive, liberal, and where the screens that are so prevalent today, were just beginning to be turned on. Angela Topping is the author of seven poetry collections, published by Stride, Bluechrome, Salt, Lapwing and Mother’s Milk Books. She also has four pamphlets out, including one with Rack Press. She has collaborated with poet Sarah James on a poetry duet pamphlet, an artist on a touring exhibition which was shown at StAnza in 2014, and is soon to work with a sculptor. Her poems have been widely published and have won several prizes. In 2013, she held a writer-in-residence post at Gladstone’s Library. 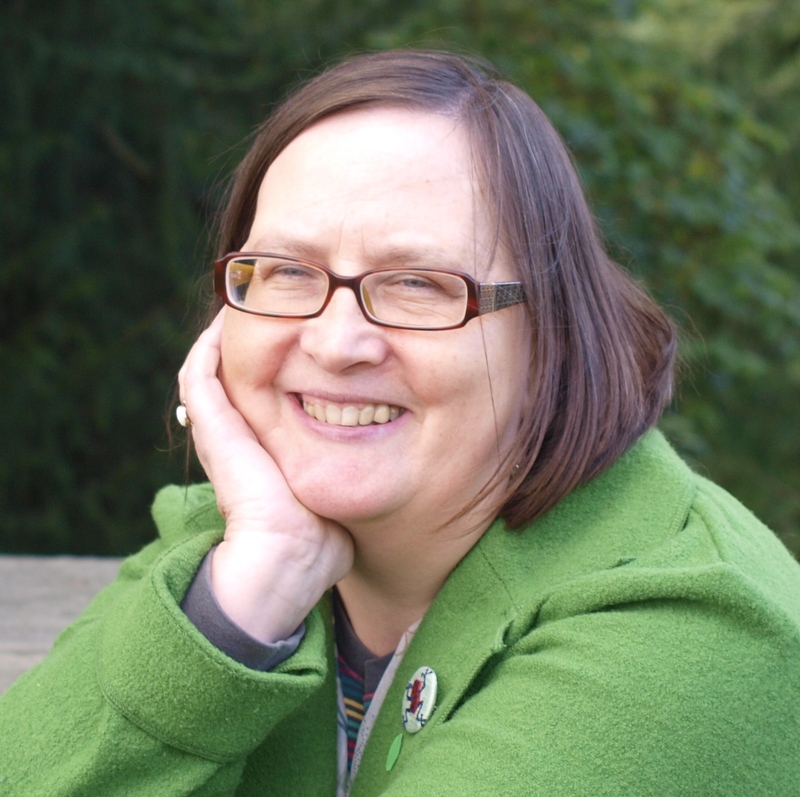 She has edited and co-edited several anthologies and writes books on literary texts for Greenwich Exchange, the most recent being on the poet John Clare. Her next collection is forthcoming from Red Squirrel in 2016.
a council house estate interior. the other focused on the flickering screen. and feels some pride in its unveiling day. He never lived to see its colours show. His camera was only monochrome. is master of the revels, bestowing love. Captures a technology that changed society by using the perfect method – looking in on a family.